10% of our annual profits are donated to organizations we believe in and have vetted. Why these charities? All of us here at GEARHEAD are passionate about animals and the environment. But because the things that Gearhead is all about–cars, rock and roll, printing and manufacturing– create carbon in our atmosphere which affects our plants, animals and climate dramatically, and also uses precious resources, we feel it is our duty to raise awareness and give back as best we can. Right now, there's no way to get around using the resources we do, so supporting charities that are working for the benefit of the environment, plants and animals is essential. Without our oceans, rivers, forests and animals, our world would be a bleaker place. Save The Manatees Club is an award-winning national nonprofit 501(c)(3) and membership-based organization established in 1981 by renowned singer/songwriter, Jimmy Buffett. Manatees are endangered largely due to human activity. Since record-keeping began in 1974, more than 41% of manatee deaths where cause of death was identified were human-related – and almost 34% were due to watercraft collisions (the largest known cause of manatee deaths). With increased awareness, education, regulations, and enforcement, manatee deaths caused by humans could be substantially reduced, and the eventual recovery of the species could be realized. GEARHEAD proudly sponsors the Manatee named Robin. You can read more about him here! Oceana seeks to make our oceans more biodiverse and abundant by winning policy victories in the countries that govern much of the world's marine life.Oceana, founded in 2001, is the largest international advocacy organization focused solely on ocean conservation. Their offices around the world work together to win strategic, directed campaigns that achieve measurable outcomes that will help make our oceans more bio diverse and abundant. Oceans cover 71 percent of the globe, and they are as important to us as they are vast. Our oceans are home to most of the life on our planet and play a central role in the world's natural systems, like regulating our climate and absorbing carbon dioxide. They provide livelihoods to countless fishermen and others around the world. They also feed hundreds of millions of people and have the capacity to provide a healthy seafood meal to a billion people, every day. Unfortunately, the oceans are in trouble — scientists report that the amount of fish caught from the oceans began declining — for the first time in recorded history — just a few decades ago. Fortunately, we know how to fix things. Science-based fishery management — which establishes science-based catch limits, reduces bycatch and protects habitat — is helping the oceans rebound and recover where it is established. Oceana is dedicated to advocating for science-based fishery management and restoring the world's oceans. California is blessed with some of the most beautiful and diverse rivers in the world. From the steep creeks of the high Sierra to the broad and powerful rivers of the Central Valley, each river tells a personal story and provides a unique experience to the visitor. Friends of the River works not just to preserve our rivers, but to change how people think about them – not as resource to be exploited, but as treasure to be enjoyed. Friends of the River is advancing proactive and realistic ways to improve our water supply reliability and security - read more. We inspire people to plant, nurture, and celebrate trees.This is the mission statement of the Arbor Day Foundation, a 501(c)3 nonprofit conservation and education organization. Founded in 1972, the centennial of the first Arbor Day observance in the 19th century, the Foundation has grown to become the largest nonprofit membership organization dedicated to planting trees, with over one million members, supporters, and valued partners. The impact they make on our world is accomplished through our conservation and education programs. Trees Are Simply Amazing. They clean air and water, slow climate change, ease poverty and hunger, prevent species loss, and feed the human soul. All we need to do is plant and care for them. Let’s work together to make it happen around the world. 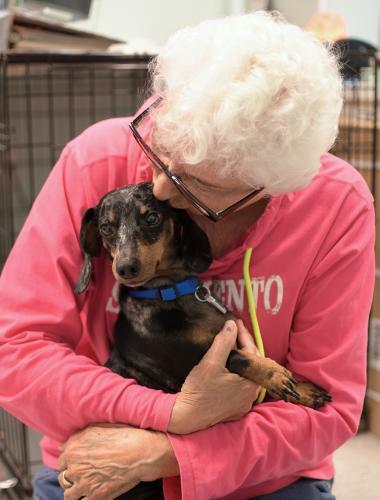 The Sacramento SPCA is an open admission animal shelter, which means they accept animals that are surrendered to regardless of health, age, breed or behavior. Open admission shelters play an essential role in providing care to the thousands of animals that would otherwise have no safe refuge. The Sacramento SPCA believes in helping the greatest number of animals with their available resources. They arecommitted to saving animal lives and practices each step of the “no kill” equation including: providing medical care, adoptions, working on behavior and training, developing partnerships within the community and with rescue groups, maintaining a strong foster program, providing free services to seniors to keep their pets, and operating an on-site low-cost spay/neuter and vaccine clinic.